Firefighters from as far away as Oregon and Nevada were among the more than 500 personnel on the scene of the Loma Fire burning in the Santa Cruz Mountains. They are working 24 hours on and 24 hours off, and when they get to base camp in Gilroy, that means they get some much needed rest. 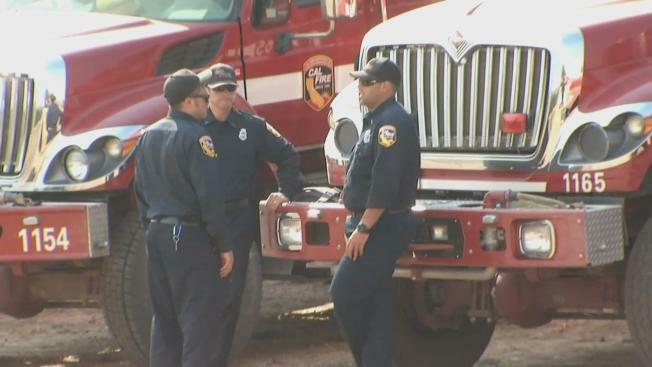 The downtime is especially important for firefighters who've just spent weeks battling other wildfires. San Jose firefighter Gary Laird and his crew mates were on the front line Monday night, trying to save 20 homes off Loma Prieta Road. "The fire made significant runs up the hill in the area I was working," he said. "But we didn't lose any homes." Laird has been on a whirlwind tour of California wildfires this season. He spent 15 days at the Soberanes Fire, which is still burning in Monterey County near Big Sur. That wildfire, the costliest in state history, has scorched more than 128,000 acres and is 81 percent contained. Laird also battled the Uvas Fire and other wildland fires, and since he returned to San Jose, he's hasn't had much of a break. "Inside San Jose, we had a vegetation fire almost every day," he said. "It has been so hot from the drought." To many Bay Area firefighters this season, it seems they've spent more time on the front lines than on their front yards. 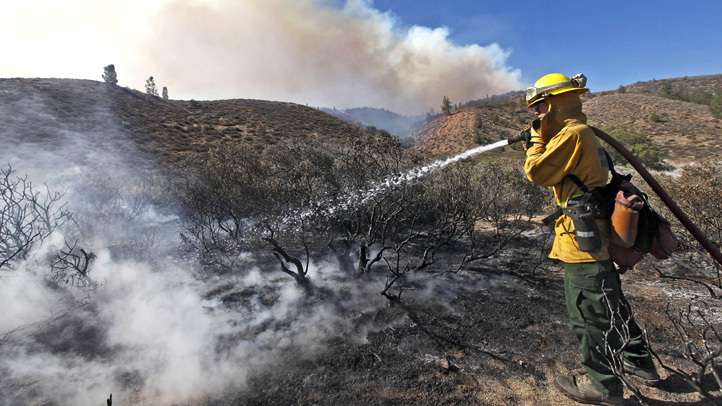 "We've had active fires the past few months so we have had firefighters moving from one fire to the next and working several days in a row," said Jonathan Cox of Cal Fire. Some crews responding to the Loma Fire just arrived Tuesday from battling the Sawmill Fire in Sonoma County. Laird said the difference this season is the intensity of the fires. But despite the dangers, the payoff is saving lives and homes, he said. "It's definitely rewarding despite no sleep, no food," Laird said. "I'm ready for sleep today; I'll be ready to go tomorrow."